Elegance meets functionality at The Grand City Ballroom. The 1,800m2 ballroom facility and 3,000m2 column-free multifunction convention center are elegant, multi-purpose venues suitable for hosting functions ranging from corporate events to luxurious gala affairs to traditiional wedding dinners. It is by far the largest function hall of its scale and class in the city. Supported by spacious, convenient parking, Grand City Ballroom's strategic location makes the obvious choice for grand functions. F & B provider located in next door Grand City shopping center stand to benefit enormously from catering opportunities created by Ballroom and Convention functions. Connecting passageways between the shopping center and Convention and Exhibition Center ensure easy access. 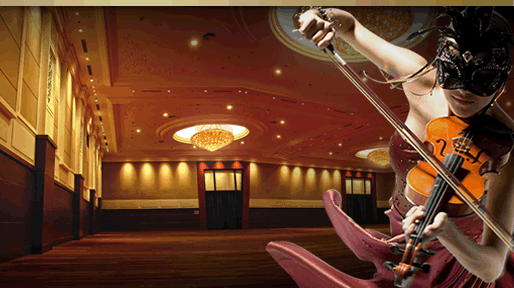 Welcome to the Grand City Ballroom, marrying form and function to create the perfect event venue.